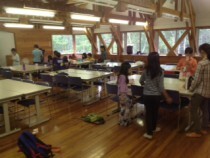 Camp 2014: Setting the Table! Student getting ready for a dinner buffet! What is on the menu?